NOTICE: The 2019 AAUW-PA NCCWSL Grant Applications are due no later than midnight EST February 28, 2019. 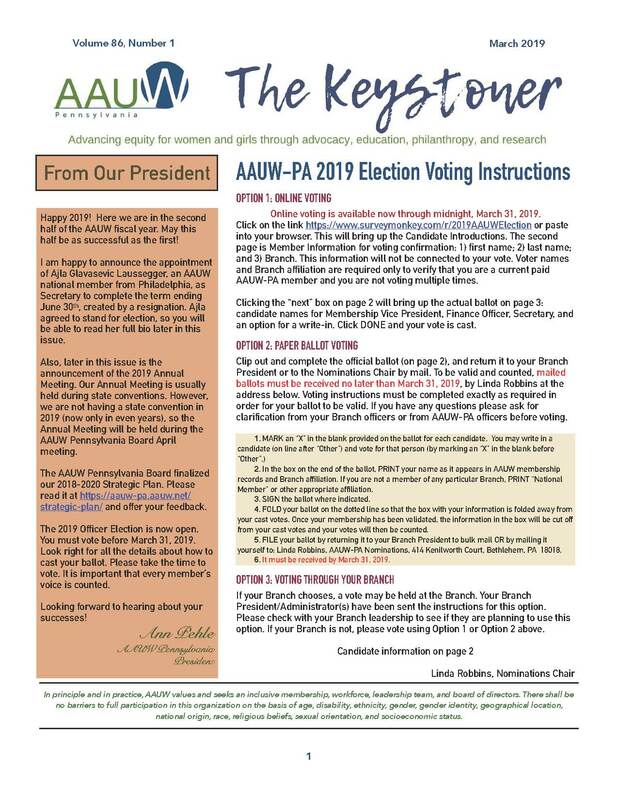 Recipients will be notified on or before 3/18/19 and are to notify AAUW-PA within three business days about whether they will accept or decline the grant. AAUW of Pennsylvania is proud to offer opportunities for leadership development for university and college women in Pennsylvania through grants to attend the National Conference for College Women Student Leaders (NCCWSL). AAUW-PA will be selecting up to four recipients this year to receive grants to attend NCCWSL. Grants cover conference registration (lodging and most meals). Funds to cover costs for transportation and optional pre-conference activities are the responsibility of the applicant. NCCWSL will be held May 29-June 1, 2019, at the University of Maryland, College Park. NCCWSL is a two-and-a-half day conference designed to enhance the leadership skills of college women students and to promote effectiveness in their work on campus and in the community. For more information about NCCWSL, go to www.nccwsl.org.